If you or someone close to you has been seriously injured or killed as a pedestrian in an accident with a motor vehicle, the law office of Iler & Iler, LLP can help you navigate the claims process. Our firm has experience litigating difficult pedestrian cases and we are confident we can help you obtain a successful resolution to your case. 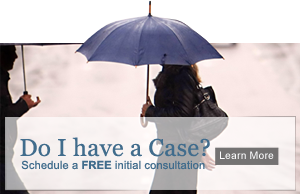 Vehicle accidents involving pedestrians can result in some very serious injuries. Unfortunately the human body is not made to withstand the force of a collision with a vehicle, even at low speeds. These types of accidents often occur at night or when a driver is distracted or tired. We have extensive experience representing pedestrians injured in accidents with motor vehicles and can guarantee you the personal and individualized attention you need to move forward with your medical care and ultimately your life.